Beachccomber's last Rod - "Nelson"
Well it had to happen .................... I haven't played with 4 wheelers [ not counting the replica Jags, Cobras, Porsches ] for waaaaay too long enough. Last one was my Track T "Mongoose" - SB Ford / auto maybe 20 years ago and before that a 1959 Vauxhall PA Cresta with 2.5ltr Daimler Hemi V8 and auto. - in 1976 ! Loads before that - usual Ford Pop [ Anglia ] saloons and vans, Morris "Z" Van, and Model A and B. Once I got involved with designing and making Replicas for a business I had no time for personal Rods. 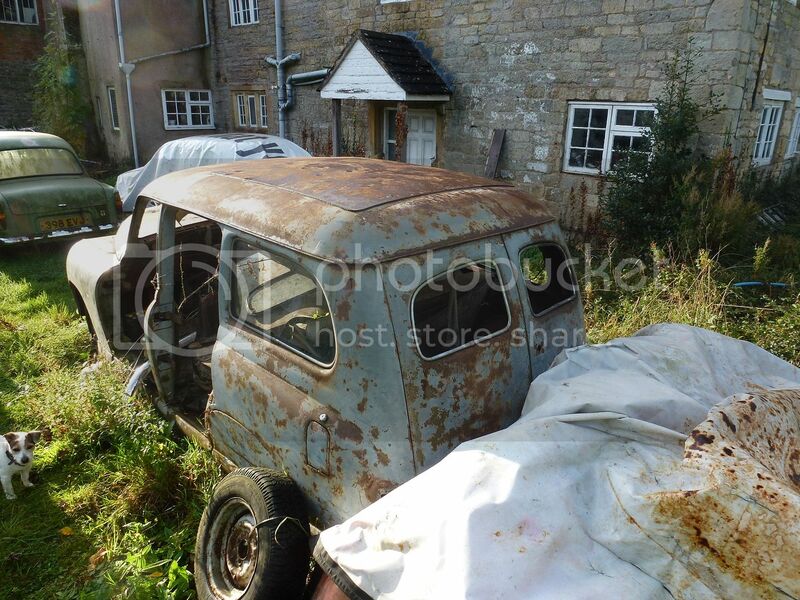 However, the rodding bug [ like biking ] NEVER leaves your system, so when I saw this poor little Rover P4 about to be broken for spares or worse - I decided to give it a home. 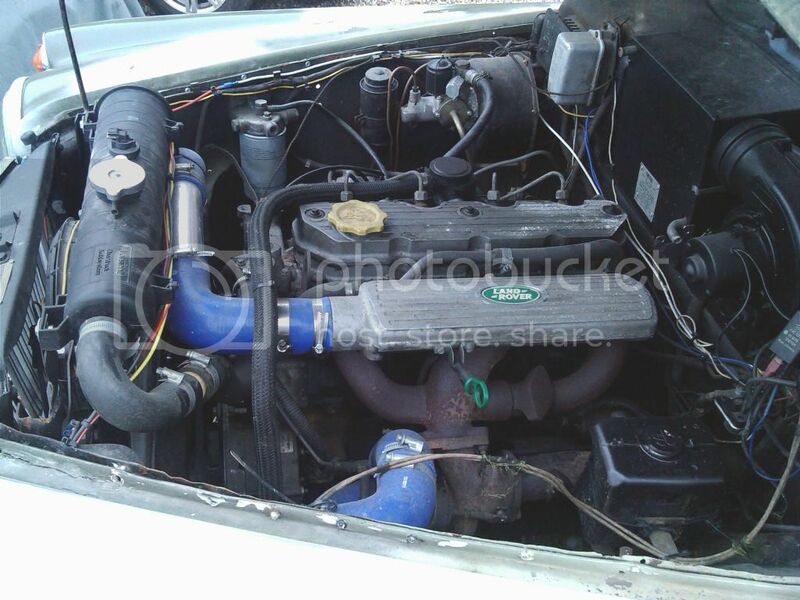 Nothing drastic - more a resto rod, but it has a degree of practicality. Annual road tax has gradually risen here in the UK and is related to emmissions / engine size. As the Rover was built before 1972 [ 1960 ] it is classified as a Historic vehicle and attracts NO annual road tax. It also enjoys a very low Classic Insurance rate - add to that the 40 mpg [ diesel ] average consumption [ that's Imperial BTW ] and I have a practical inexpensive to run daily runaraound that's still a bit out of the ordinary. Doesn't look much does it ? However, it had a complete body / chassis overhaul [ welding etc ] 3 years ago - Doors, bonnet [ hood ] and boot lid [ trunk ] are all alloy [ OEM ]. 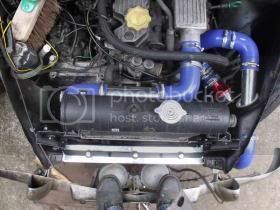 The main claim to fame is that it was fitted with a Land Rover Discovery 200TDI Turbo diesel lump by some guys from the Land Rover experimental department ! Two weeks after the conversion they took it on a 3000 mile round trip through Europe, culminating in several laps of the Nurburgring where it was timed at 120 mph with 1500 rpm in hand ! It has a busted gearbox [ the reason for breaking ] - but has a good spare box in the boot. Future plans include getting it up and running as a daily driver and then making subtle "Resto-Rod" mods. It will be lowered 2" and fitted with RAM alloy adj shox, Minilite or maybe Rostyle 6" x 15" and 8" x 15" wheels and suitable radials. Front brakes are already Girling discs with massive 3" wide drums on the rear. 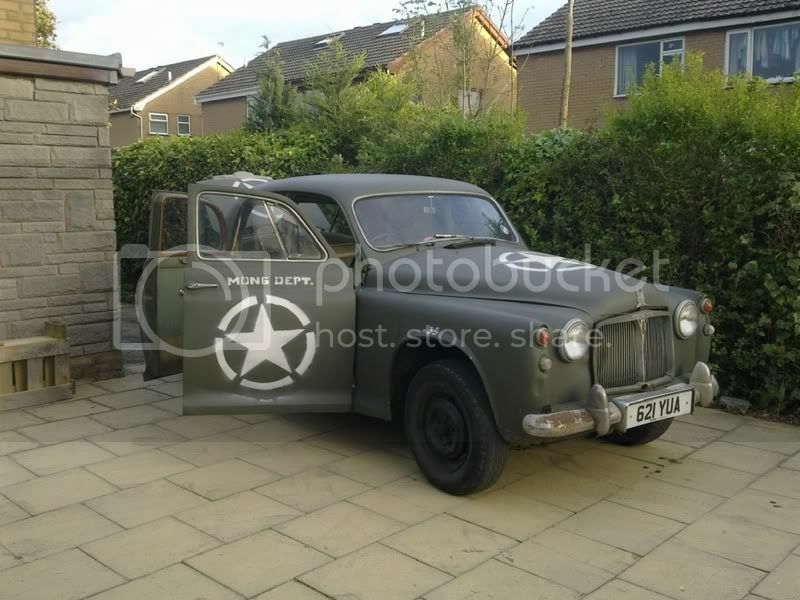 An external sun visor will be fitted and maybe louvre the bonnet and boot lids. Yes - definitely, it would be rude not to [ bonnet anyway ]. If the Green leather interior won't refurb., then I'll get an interior out of an XJ6 Jag or late Rover 75, similar [ leather ]. Typical of the era - loads of wood [ genuine African Walnut ], leather, chrome. I'm erring towards the 50's Aston Martin Sage Green - maybe two toned over a darker green [ BRG maybe ]. The bumpers will have to be refurbed - if too expensive maybe temporarily ditched. Re: Beachccomber's last Rod - "Nelson"
That is going to be all sorts of fun. Somehow though I doubt it will be your last. Plan to take me for a ride in a year or so. Planning a family trip for 2014 which will include London for a few days. Then off to the continent to see the sights and visit friends in Galicia Spain. you will be more than welcome. If there's anything I can jack up here in the UK for your visit just let me know. The last one ?? 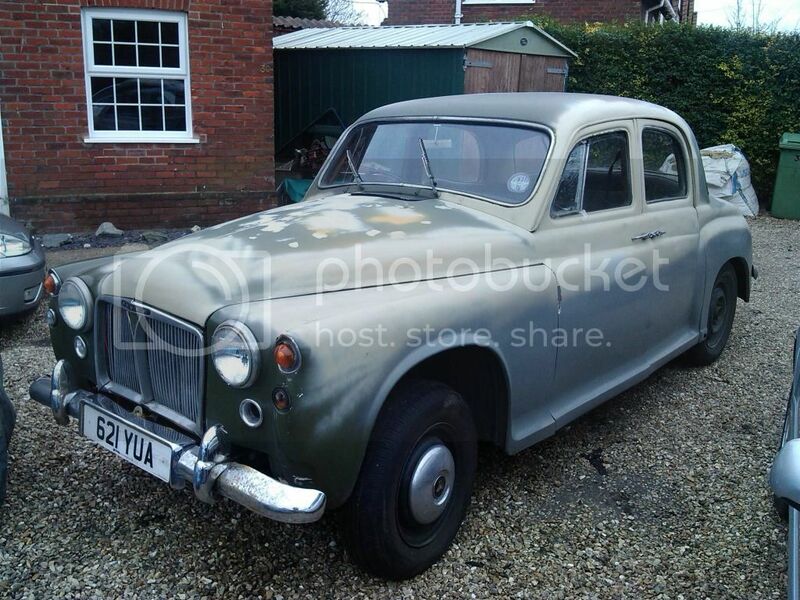 Well - I nearly did a deal for an Austin Devon Pick up last year - the Drag Racing thing also keeps surfacing ! I really regret selling my 27T Altered, and the bug is still there. As ever - funds are the biggest drawback to progress, but like the bikes - I ONLY buy / trade stuff when the price is rock bottom ! Here's a pic of Nelson [ for that's his name - NO idea ] 2 weeks after the conversion with a swift coat of drab Olive for the European raid. Forgot to mention - the doors etc are alloy from the factory - but it does have fibreglass front wings. 'Auntie'* must have raised a few smiles at the 'Ring - even without the 180! You guys know me so well - even after a short time hereabouts ! A friend of a friend heard about the P4 and made me an obscenely profitable offer that I just could not refuse. 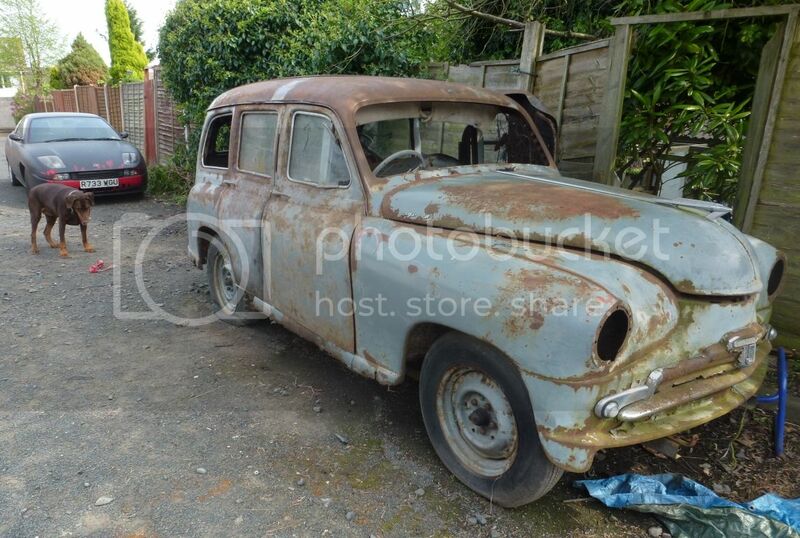 Especially when the deal was a LARGE sum of cash - plus this ultra rare 1952 Standard Vanguard Estate. 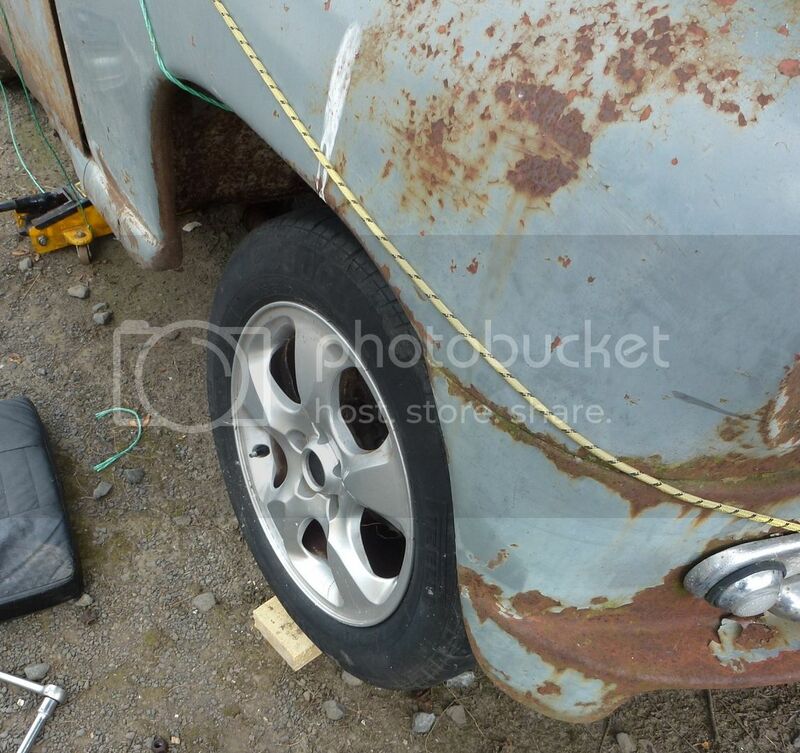 I see the latest "trend" is to retain the as found body "patina", and then seriously rod everything else ! At first I thought "lazy bastards" ............ then I thought - the car has taken 60 years to get to look like this, why not ? That's the current plan. The body is remarkably sound and even more remarkably free from dents or even dings - amazing. Been dry stored for 45 years and moved to this resting place but under wraps for a further 2. 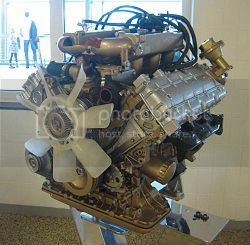 I've just located a 2.8 ltr PVR V6 [ this one is from Volvo ] - I think it's only fair to consider putting a Mini Eaton blower on top. Here's what the PVR engine looks like - all alloy and very compact [ 2 ' cube ] and light. Mine is the carb version - so none of that electrickery bollox to worry about ! Several options for the intake - Eaton Blower, Predator carb, 45 DCOE Weber. I already have the Predator, but it really depends on how cheaply I can score an M45 / 60 Eaton. HOWEVER, this one is progressing and plans being firmed up. 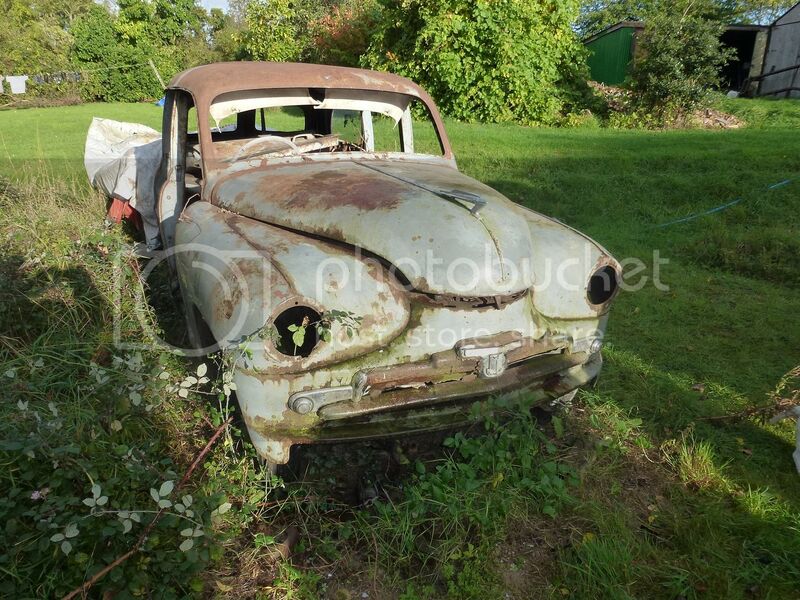 I do want to keep the original 60 year [ almost ] old patina. The body really is amazingly solid [ and thick ! ] and I now have some of the history of the car. It was put on the road new in 1955 and driven as a daily farmer's truck until 1966, when at 57K miles it was stred in a dry barn - and forgotten until my pal found it 3 years ago ! The car was owned by one family from new until my pal bought it and I now have their last known address details [ 1972 ]. I'll drop a line to the address and see if any of the original family members are still around and remember the car. So - what's the best way to preserve the patina, WITHOUT spraying in lacquer. I don't want a "shiny" finish, seems to defeat the object. I'll be keeping the OEM front and rear suspension and upgrade where necessary [ bushes, shox etc. ] and fit disc brakes to the front. The wheel stud pattern is Jag / Chevy which makes life easier. I bought some 16" Jag V8 wheels and tyres - only to find they are now metric instead of 4 3/4" . Anyway - Adaptit in the US have come up with a fantastic deal for the correct wheel adaptors - and at less than half the price I could get them in the UK. The wheels are 8.5" wide, but STILL fit under the arches and even under the rear spats - result. Even when the car is slammed 4" - 6", everything still clears. I got an Eaton blower for the Volvo V6 [ M217 ] but it looks pathetically small and insignificant, so I'm currently looking for an M112 from a Jag V8. 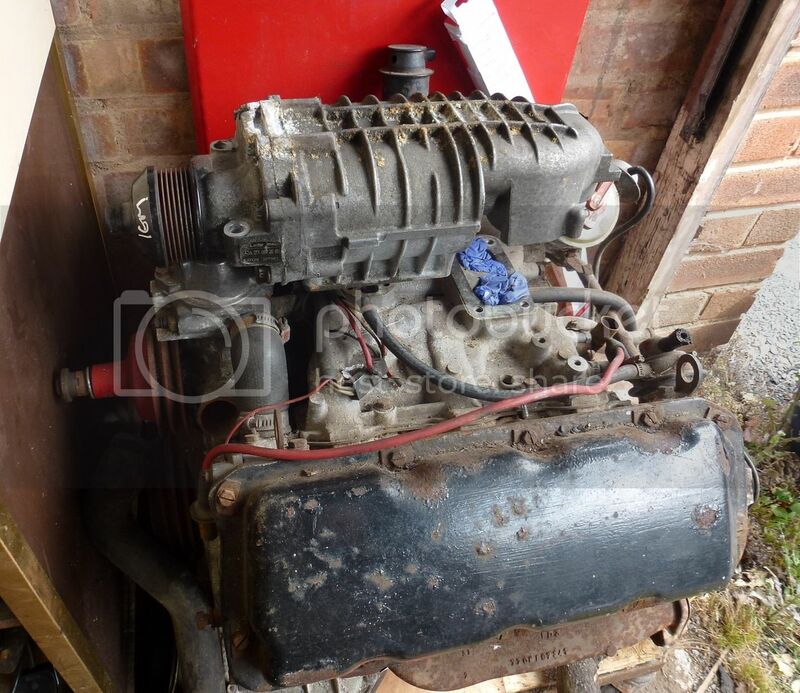 That'll have twin 2" SU carbs or a 45DCOE Weber [ probably SUs]. 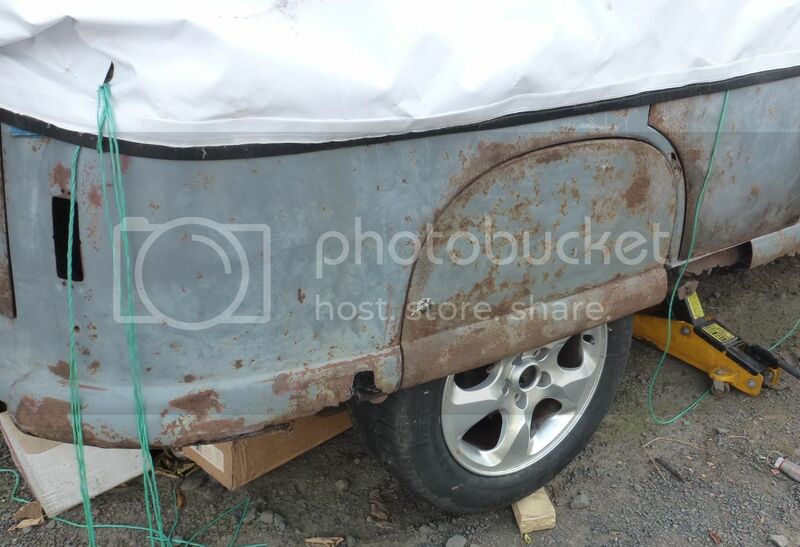 The floor is pretty well non existent - but the chassis is massive and totally undameged - sills also need replacing, but amazingly all the body panels and doors are virtually rust free. As a sculptor, I've used Penetrol (a thinned linseed oil) to preserve patina on outdoor pieces. It's not as durable as a clear lacquer, so it has to be re-applied to the surface every so often. Might be worth testing out. The Japanese traditionally used tea, because of tannic acid, to preserve a rust patina. Most any application will darken the rust. You could also consider the lacquer, but go with matte or wet sand it to dull.